While Superman’s mission is most often described as “truth, justice, and the American Way,” personally I think the quality that best describes him and his methods is “hope.” Superman has hope that people can be better, and that’s the one thing he can never give up on. It’s also clearly going to be a major point of contention between him and his father, Jor-El a.k.a. the newly revealed Mr. Oz, as this arc of Action Comics moves forward. Dan Jurgens and Ryan Sook’s Action Comics 988 is one of those long, exposition-ridden issues meant to fill-in backstory. Those kind of issues are one of my pet peeves, but this issue rises above many of their usual problems by finding an actual story to tell with Jor-El and the family that tries to hide him in a war-torn country on Earth. Jor-El and the family are eventually betrayed by their young son and executed by warlords, which, in combination with the history of humanity force-fed to Jor-El by his mysterious captor, causes him to lose all hope in humanity. 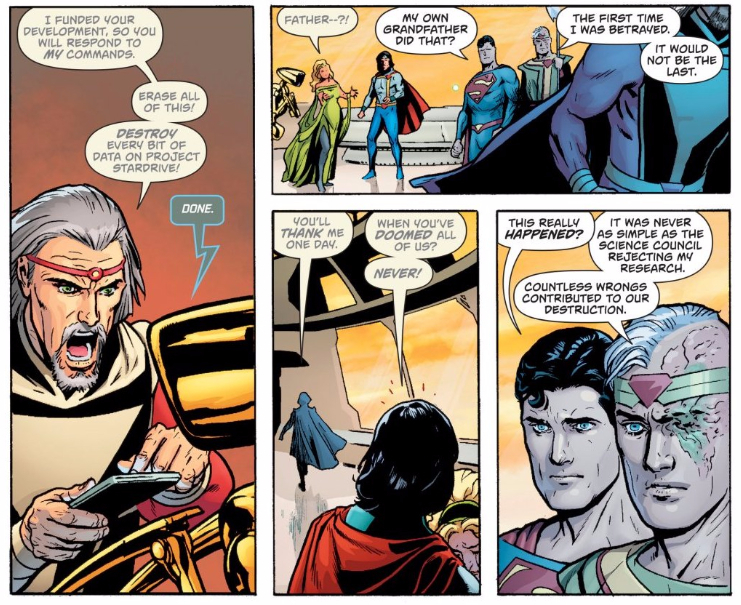 That will no doubt create some strife between Jor-El and Clark, but what’s most interesting to me about Jor-El’s experience is that he’s been exposed to kindness and hope as well as despair. The family that took him in did so selflessly, even when they had so much to lose. And even viewing the worst of humanity should have exposed him to plenty of stories of hope and courage in the form of survivors and resistors trying to keep each other safe. Hope is always there if you look for it — it’s all a matter of perspective, and Jor-El’s perspective has been skewed by what he went through on Krypton. Being betrayed by his father-in-law has seemingly destroyed his ability to trust, and led him to believe that hope will always be snatched away from those who have it, just as his father-in-law did to him. Superman seems sympathetic to what his father went through, but I also don’t yet think he knows what Jor-El, as Mr. Oz, has been responsible for (Doomsday’s attack, among other atrocities), and Jor-El’s claim that humanity “deserve[s] what’s coming” implies that he’s got worse in store. 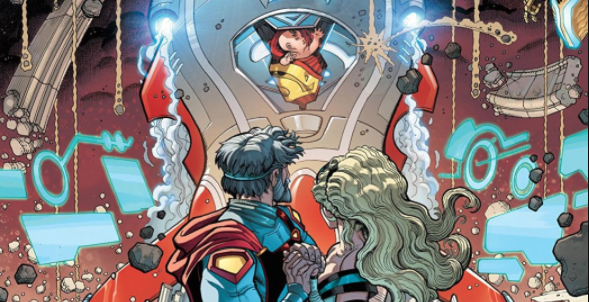 We all know Superman will never yield to Jor-El’s hopelessness, but can he help his father see the light, or is Jor-El already far beyond hope?